1. Demonstrate that gender diversity is a high priority. 3. Offer training to acknowledge and disrupt implicit bias. 4. Publish policies that foster an inclusive culture. 5. Create an initial applicant screening that is free of gender bias. 6. Seek diversity in the applicant pool and evaluate candidates as a pool. 7. Enlist diverse evaluators in hiring. 8. Evaluate starting salaries for new hires. 9. Conduct regular compensation evaluations for employees of all levels. 10. Conduct negotiation training for employees and managers. 11. Regularly train managers on conducting effective performance evaluations. 12. Publish employee performance philosophy or principles in a manner easily accessible by employees. 13. Evaluate causes of attrition among women, including mothers and women who do not have children. 14. Offer paid family leave. 15. Offer onsite or subsidized child care, child care referral, or backup child care services. 16. Create and generate awareness of programs that confer employee schedule control, including flex programs. 17. Train managers to manage a flexible workforce. 18. Mentor and sponsor women for leadership positions. 19. Provide structural support to move women up the talent pipeline. 20. Actively recruit women to executive level and board positions. 21. Achieve equitable gender representation on senior search and compensation committees. 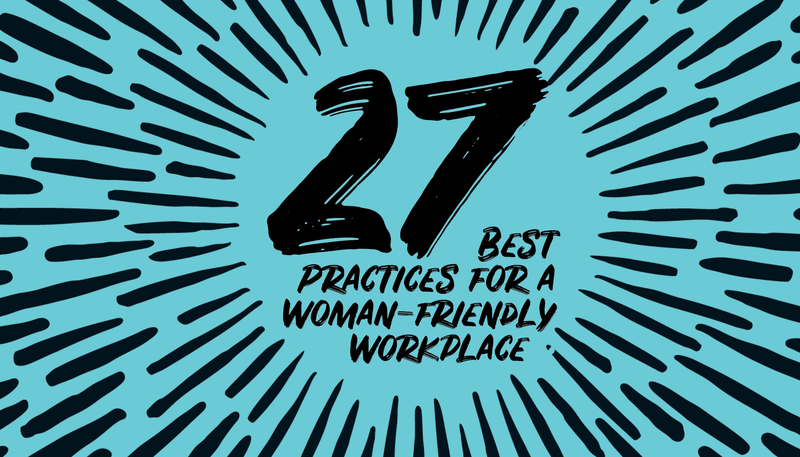 Employers wishing to engage outside their walls can be part of building a more diverse and qualified future workforce through an additional set of best practices. 22. Support initiatives that expose and connect girls and women to STEM careers, skilled trades and other fields where they are underrepresented. 23. Support the expansion of STEM high school and college courses. 24. Evaluate female students’ perceptions of your industry. 25. Support recruiting, outreach and training programs for women in STEM careers, the trades, and other fields where they are underrepresented. 26. Seek gender diversity among investment partners. 27. Showcase successful women entrepreneurs, and support incubators and coworking spaces to support entrepreneurs with families. Find toolkits, guides, articles and research at 100percenttalentseattle.com/best-practices.